Our history books have tried to chop things up neatly for us. Events happen along a timeline, and we're given the causes for all the effects we see. However, more often than not, history is also mixed in with a lot of myth. Perhaps one of the biggest myths we see (particularly in America) is that history was segregated. Europe was full of white people, and the events that happened on the European continent occurred in a vacuum, far away from the Middle East, Africa, or Asia. In reality, though, the events that shaped our history are more like the butterfly effect. A crop shortage on one end of the world can be the cause of wars at the other end, and one kingdom's grab for power can send unexpected ripples through history. The expansion of Christianity, particularly through the Jesuit missionaries led to a lot of unusual conditions and bizarre happenings. One of them was to create the only black samurai in the history of Japan. What? You never heard of him? The year was 1579, and Japan was having regular contact with European missionaries. The Jesuits had come with the word of their god, and they were being tolerated (in some places, at least). One missionary in particular, a man by the name of Alessandro Valignano, brought a servant with him. The man was a slave, and he was described as a strong, healthy, attractive black man over six feet tall. Something that caused quite a stir among the people in Japan, who had never seen such a person before according to Knowledge Nuts as well as The Vintage News. Valignano and his servant were known mostly in the smaller towns and regions, but word eventually reached the ears of Oda Nobunaga, the warlord responsible for uniting most of Japan under a single banner. An invitation was extended to Valignano and his famous servant to meet with him. When they arrived, Nobunaga found the black man quite a sight, but he also ordered him to strip to the waist and wash. When it was ascertained that his skin was not dyed with ink, Nobunaga became even more intrigued. In time the man was allowed to enter Nobunaga's service as a weapon-bearer, and the lord gave him a new name. Yasuke, the name he's known by in the records we have. 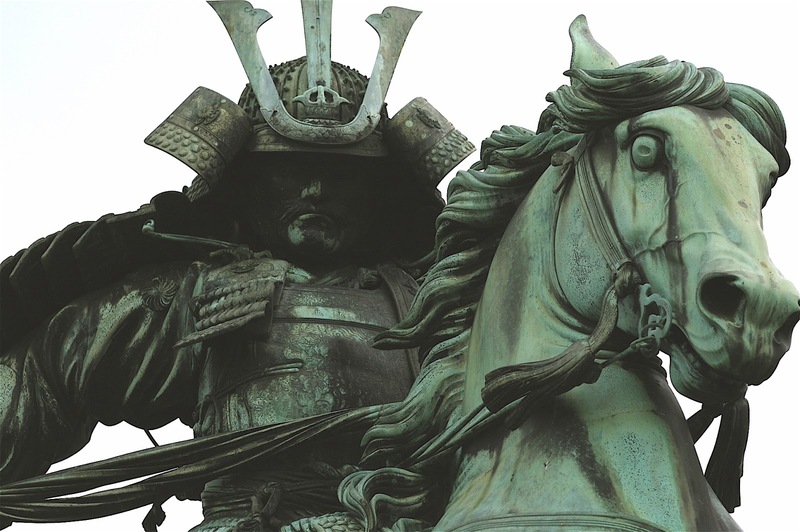 While the middle of the Renaissance might not be what we associate with classic samurai, Yasuke was given title, estate, and a position in Nobunaga's army. He was huge in comparison to the warlord's men, larger even than Nobunaga, who was considered a tall man for the era. Yasuke was described as having the strength of ten men, and he fought alongside Nobunaga's men against Akechi Mitsuhide in Kyoto. Though Nobunaga died, Yasuke pledged himself to the service of the warlord's heir. In time, though, he surrendered his sword to Akechi's men when he was defeated. This put Akechi in a bind. Yasuke was famous, but he also had ties to the Jesuits, and other foreigners. As a way to save Yasuke's life, and to curry favor, Akechi returned Yasuke to the Jesuits he'd originally come from. All told, Yasuke had been a samurai for a little less than a decade. In that brief time, though, he carved a legend that is still remembered to this day. Also, if you enjoyed this fun little historical tidbit, why not check out Medieval People of Color on Tumblr? Because history is full of stories we rarely hear about, and wish we'd known sooner. That's all for this week's Moon Pope Monday post. Hopefully some of you find it interesting, and others may find a character idea in this historical tidbit. If you'd like to help support Improved Initiative, then go to The Literary Mercenary's Patreon page, and become a patron. As little as $1 a month can make a big difference, and it gets you some sweet swag. Lastly, if you haven't followed me on Facebook, Tumblr, or Twitter, why not start today? Remember a Boondocks episode on Adult Swim. Wrote a play called "The Adventures of Black Jesus." We didn't see much of the play itself, but at the end, a black man in samurai armor is seen in the cast. Well, I guess I know who that probably was, now. This is a great fish out of water protagonist type for a novel or a new player. Someone who can be able and competent, but since they are not from the land they are adventuring in they need to ask questions and have discussions to learn about the history and philosophy of the place they are in.